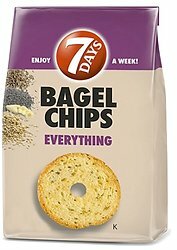 7 Days Bagel Chips - Everything. Nice size 3.17 oz bag. Hearty and filling. Once you start, they are hard to put down. High Quality.